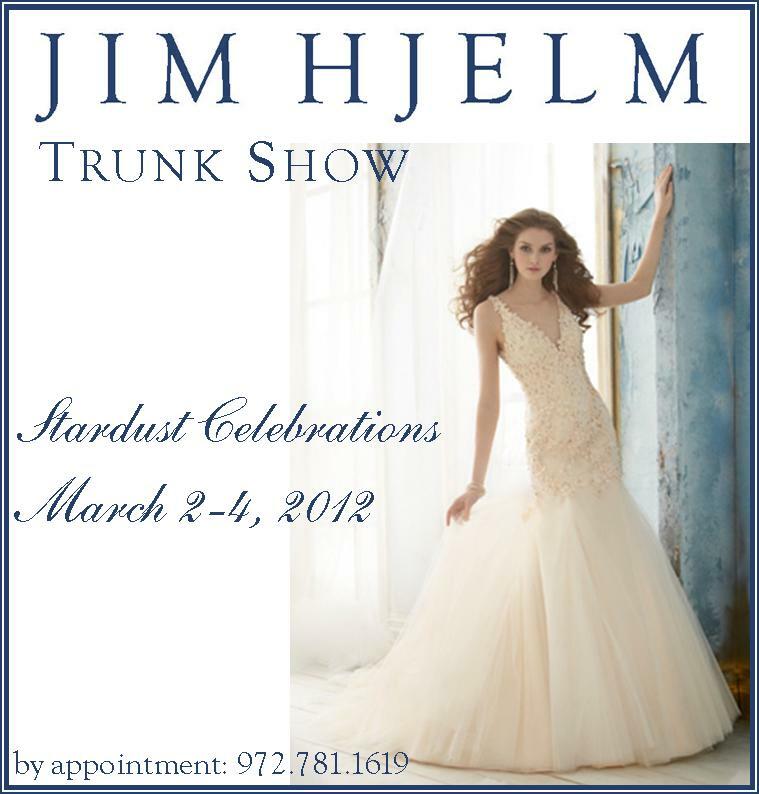 Join us at Stardust Bridal Salon this weekend for our trunk show featuring the stunning Spring 2012 bridal gown collection from Jim Hjelm. Call for your appointment: 972.781.1619. We just love, love, love ombré! While the word is actually French for shaded or graduated color, ombré makes us want to shout “olé!” because it is so festive. 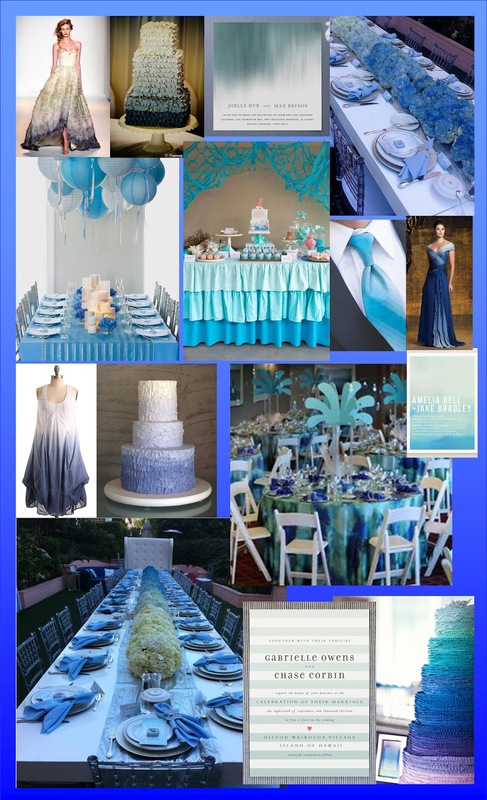 Incorporating ombré is a great way to bring in a monochromatic color palette in a fun and interesting way. While the look is fun, it can also be very elegant! Check out all of these gorgeous ideas! 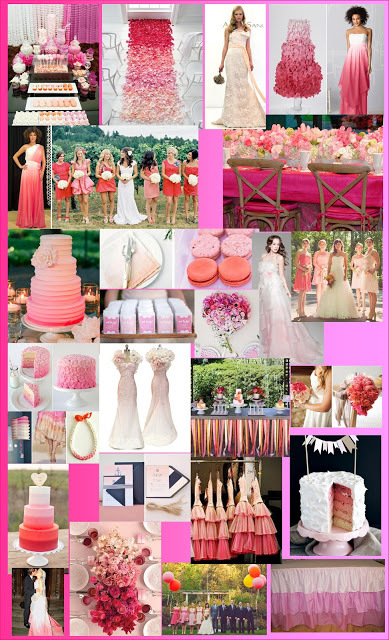 From baby pink to coral to hot pink, there are so many shades of pinks, your options are virtually endless! 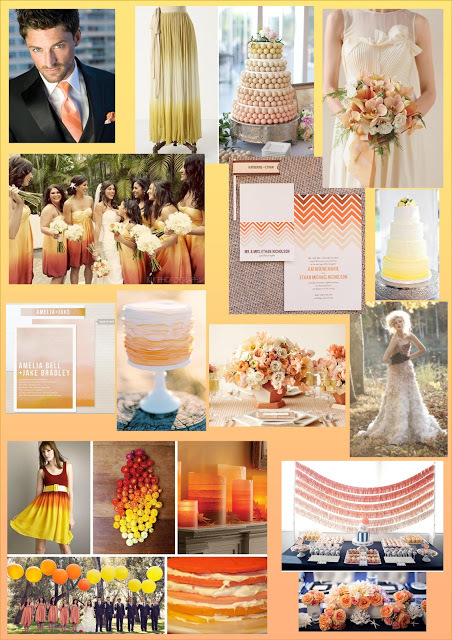 LOVE these gorgeous earth tones! Cream, yellow, peach, orange, taupe and brown combine to make a very warm color palette! Purple is still huge – what a gorgeous way to use it! 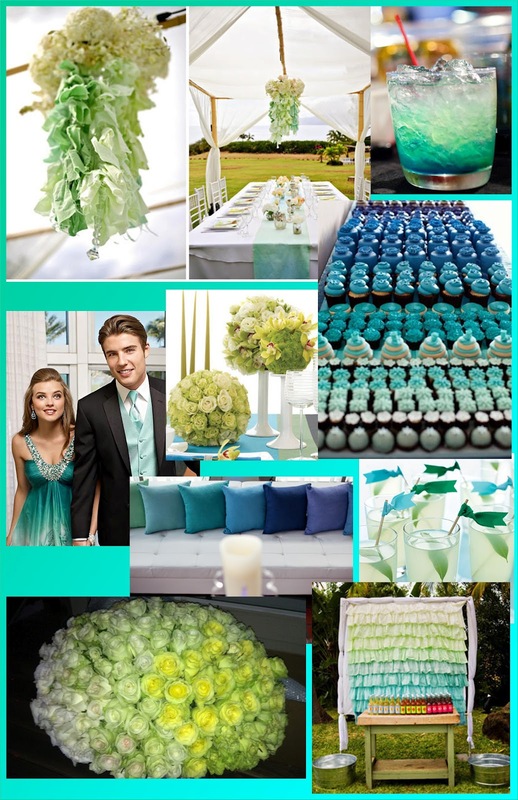 These greens and teals are so cool and fresh! Perfect for spring and summer! You can even do ombré with a combination of colors, giving your wedding a more rainbow theme, a great option for the whimsical bride! What do you think of ombré, ladies? Anyone planning to incorporate it in your wedding? 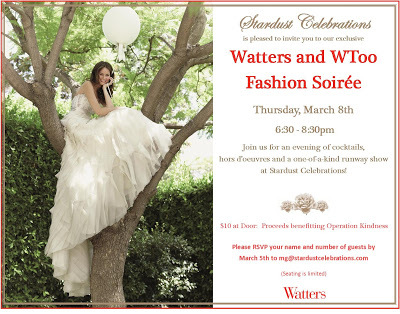 You are cordially invited to an exclusive Watters and Wtoo Fashion Soirée on Thursday, March 8, at Stardust Celebrations! 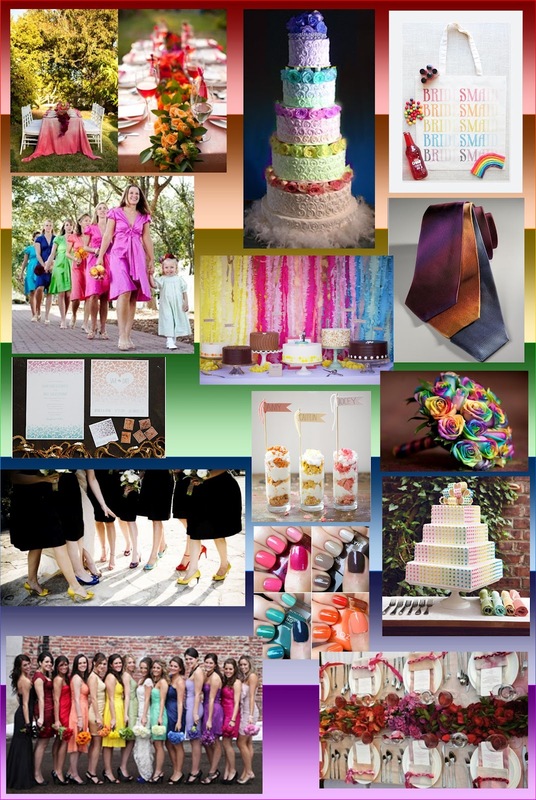 Join us for cocktails, hors d’oeuvres and a fabulous, one-of-a-kind runway show. Entry is just $10 at the door, and proceeds will benefit Operation Kindness. 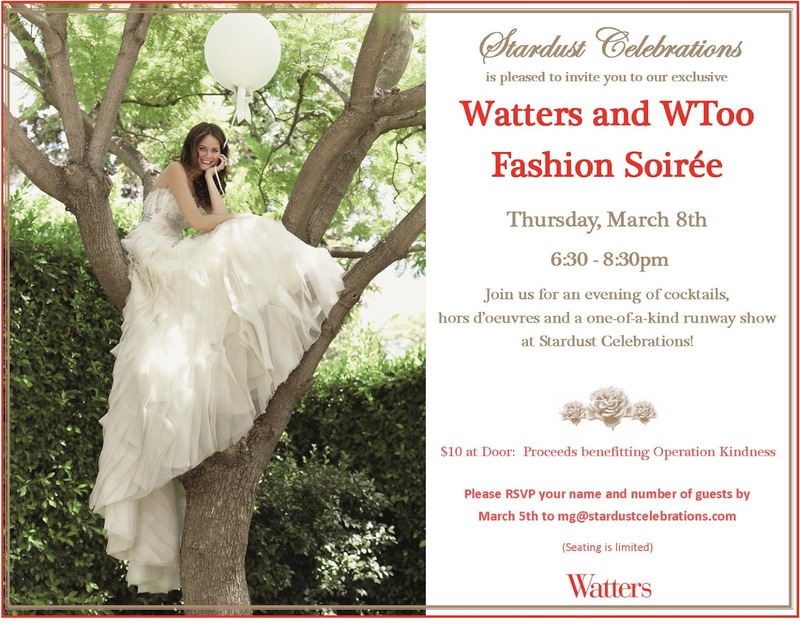 Please RSVP to mg@stardustcelebrations.com prior to March 5 as seating is limited. We hope to see you there! 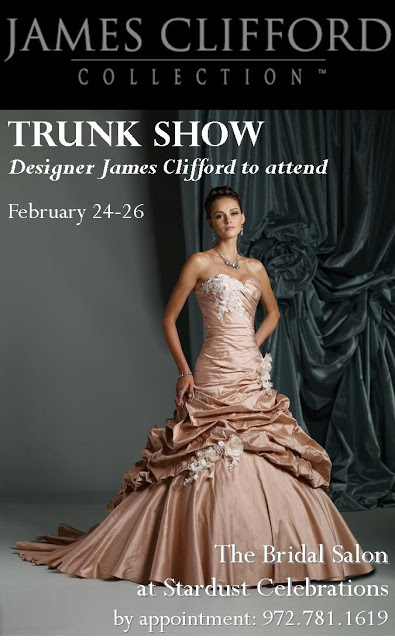 Call today to schedule your appointment during our trunk show this weekend for the fabulous Spring 2012 James Clifford Collection. The incredible designer – James Clifford himself – will join us during buy valium online us legally this special in-store event to meet with brides and help them find their perfect bridal gown! Secure your appointment by calling The Stardust Bridal Salon at 972.781.1619. We simply adore these super-cute short bridesmaid dresses from Jim Hjelm Occasions! The Spring 2012 collection is now in store, and our staff and clients have been going crazy over them! These are definitely not your typical bridesmaid dresses, destined to be stuck in the back of the closet until the end of time from the moment the newlyweds head for their honeymoon. These gorgeous dresses, featuring tons of the fashion details we raved about here, are so stylish and versatile that they truly can be worn again after the wedding! We especially love those rich jewel tones which offer a great alternative to the LBD for your next cocktail party! 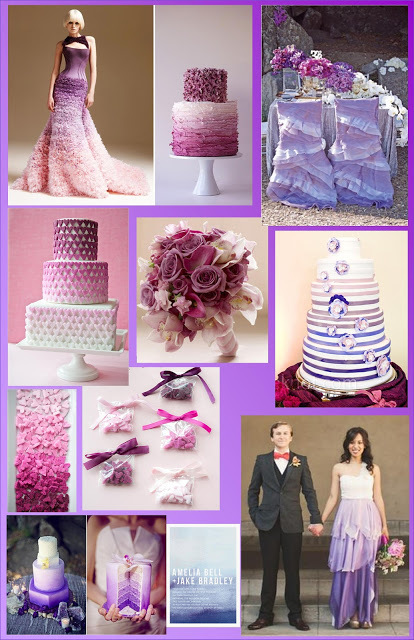 Lovely brides, several of these stunning styles would make a perfect rehearsal/rehearsal dinner dress, don’t you think?! Come into our fabulous Stardust salon to check out these beauties!